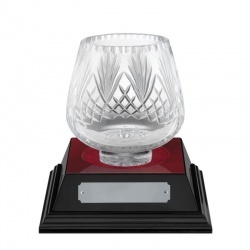 Attractive crystal presentation bowl, suitable for a wide range of awards and achievements. 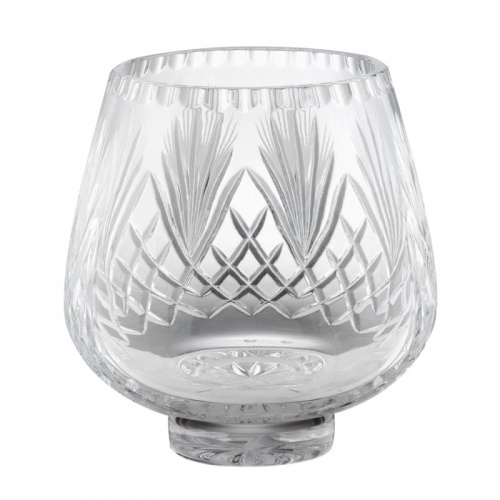 Crafted in 24% lead crystal, these footed bowls have handcut decoration on the body with a blank panel for engraving. They stand 6in (150mm) tall and are supplied in a blue storage box. 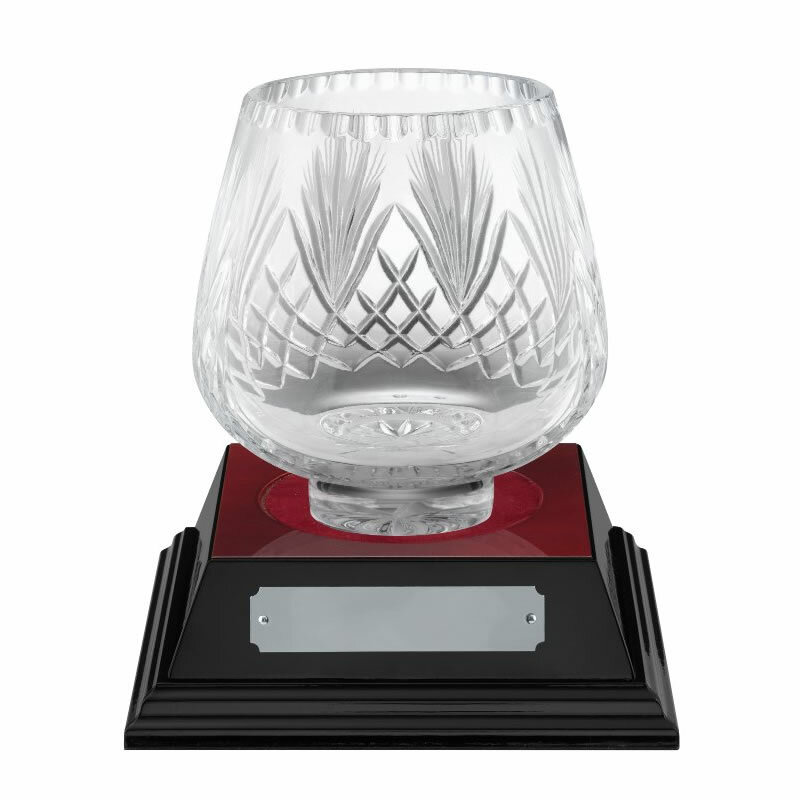 An optional recessed wooden base, with engraving plaque, is available to complete your crystal presentation bowl award. 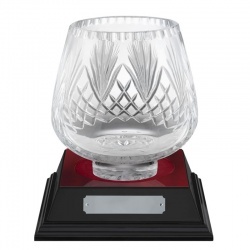 5in tall, 24% lead crystal, handcut decoration, engraving panel, optional wood base. 7.25in tall, 24% lead crystal, handcut decoration, engraving panel, optional wood base.